Stay organised by using the Hot A3 Laminator and Laminating Pouches. 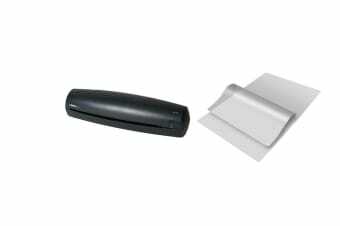 The Lenoxx Hot A3 Laminator with Laminating Pouches allows you to protect important documents at the click of a button. The tight seals on the pouches ensure that precious memories can be stored for longer. With 50 pouches already included, you can begin preserving your documents immediately.